Due to popular demand, we are running this workshop again. Working with minimal gear and preparation for absolute beginners to experienced video shooters. 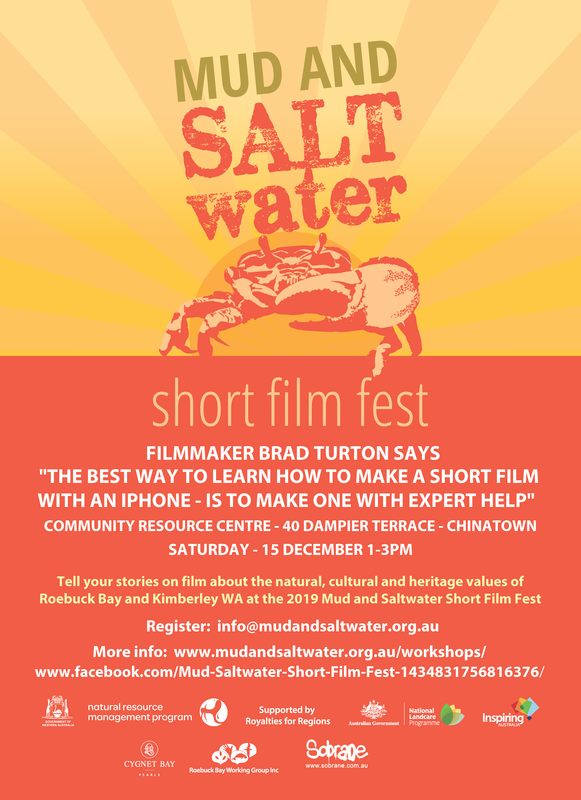 With practical demonstrations using a smartphone. 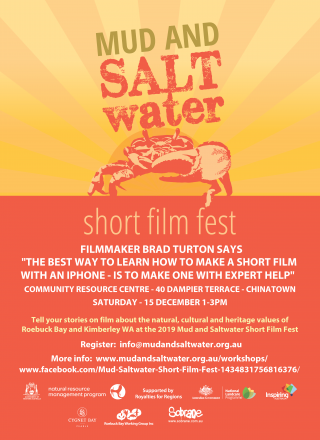 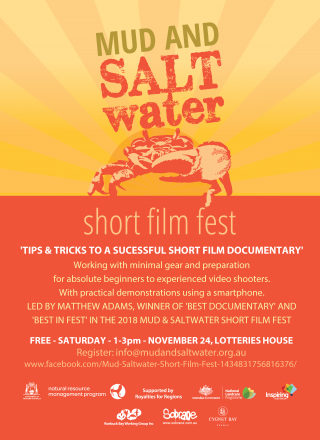 Led by Matthew Adams, winner of ‘Best Documentary’ and ‘Best in Fest in the 2018 Mud and SAltwater Short Film Fest. In 2015, a committed group of Indigenous saltwater managers from communities along the Kimberley coastline came together, with support from the WA Marine Science Institution, to deliver the ground breaking Kimberley Indigenous Saltwater Science Project. 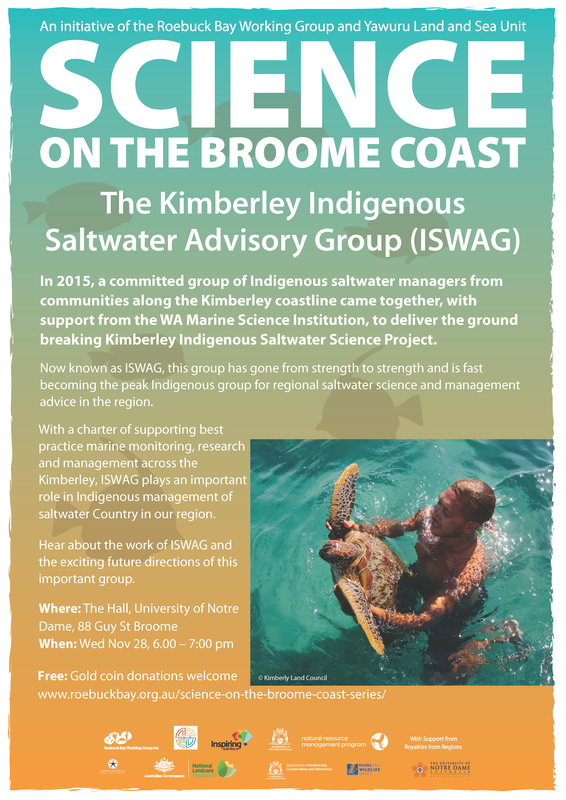 With a charter of supporting best practice marine monitoring, research and management across the Kimberley, ISWAG plays an important role in Indigenous management of saltwater Country in our region.